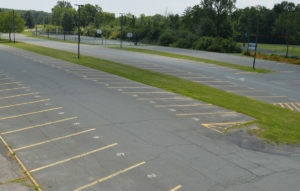 Student parking applications for Columbia High School seniors will be accepted on Wednesday, August 29 from 10:00 a.m. – 2:00 p.m. in the main lobby. A Non-Refundable check in the amount of $30.00 (seniors – full year) or $15.00 (1/2 year) made payable to EGCSD (East Greenbush Central School District) with your student’s name on the memo line. No cash will be accepted. The Student Parking Application and the Rules and Regulations forms can be obtained in the Main Office at Columbia or can be downloaded from our website. If the applicant cannot attend on this date, he/she must wait until after school begins on September 6. Registration will be open until all 271 permits have been distributed; thereafter a waiting list will be initiated for seniors.